Like it or not, you have to admit that we all love to go with what’s in vogue. Be it the latest in mobile phone technology, the latest fashion trends and even the TV series or movie that everyone’s going on about. Well, the same rule applies to holiday destinations and if you don’t know it already, Sri Lanka has been named by only the world’s renowned and largest travel publisher, Lonely Planet as the place to be in 2013. 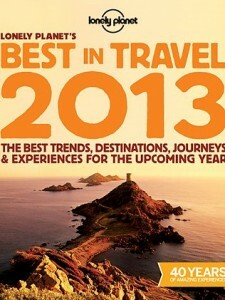 Lonely Planet highlighted the growth rate of visitors to the island after the end of nearly 30 years of civil war in 2009 as one of the main reasons for it striking the numero uno spot on the list. What was also highlighted was the number of eco-tourism hotspots across the country in addition to the wide variety of activities and atmospheres that make it one of the planet’s best value destinations. Following Sri Lanka on the list of countries to visit were Montenegro, South Korea, Ecuador and Slovakia. Wonderful site. A lot of useful info here. I’m sending it to a few friends ans additionally sharing in delicious. And obviously, thank you to your effort!